The original builder, owner, and operator of the Morton Building, and founder of the Morton Theatre, Monroe Bowers Morton, was born in May 1853 in Athens, Georgia. Morton was the son of a white father and an African-American mother (Morton's mother was a former slave of mixed descent). He acquired the nickname "Pink" among family and friends, which was originally a reference to his complexion. Although he had very little education, Pink Morton was an ambitious man. He tried his hand at several occupations before establishing himself as a building contractor. Morton's reputation as a contractor, and his active role in the construction industry allowed him to be the contractor for the Wilkes County Courthouse in Washington, Georgia, and he participated in the construction of a government building in Anniston, Alabama. Morton was chosen as a delegate to the Republican National Convention in 1896. He was appointed to the committee that officially informed William McKinley of his nomination as the party's candidate for President. 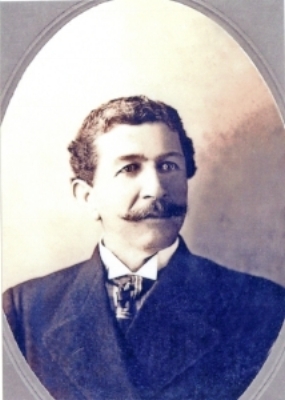 The following year, 1897, Morton was appointed as the U.S. Postmaster of Athens, Georgia. He remained in this post for the next five years, garnering high praise from local citizens for his performance. Another well known fact was that Pink Morton owned between twenty-five to thirty buildings in the Athens area, including a $10,000 marble-stone building on Clayton Street in downtown Athens. The building continues to stand and houses one of the many retail establishments in downtown Athens. Pink Morton began construction on the Morton Building in 1909. It has been alleged that the design specifications for the Morton Theatre were adapted from an architectural design for a renovation to the nearby New Opera House. The original designs were drawn up by Chicago architect Frank Cox. The Morton Building was completed on May 18, 1910. The Morton Theatre was opened that same evening with a classical piano concert by Alice Carter Simmons. The Morton Building was home to various business occupants, including E.D. Harris Drug Store, the first African-American owned drugstore in Athens, as well as the dental practice of the first licensed African-American female dentist, Dr. Ida Johnson Hiram. The Morton Theatre was the first African-American built, owned, and operated vaudeville theatre in the state. Pink Morton often acted as the Morton Theatre's lighting and/or stage director for many of the performances. As owner and operator of the building, Morton used the rent collected from the various businesses housed in the Morton Building to subsidize the operation of the theatre. By 1914 Morton was the owner, publisher, and editor of the Progressive Era, a local black newspaper. Unfortunately, few copies of the newspaper are known to have survived from the period of his ownership. Five years after establishing this newspaper Monroe Bowers "Pink" Morton died at the age of 66.